If you’re thinking about launching a blog, you may be a bit dazed and confused over all the steps and all the information out there. Take a deep breath. I’m here to take you through it! 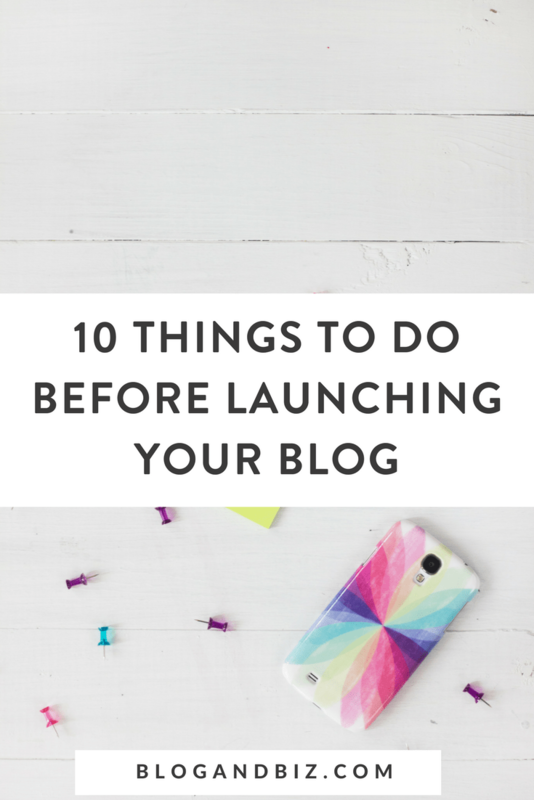 These are the 10 things you should do when launching your blog. But wait! If you're really serious about launching your blog, check out my signature course, Break Into Blogging. It will take you through step-by-step so you get started the right way! Now, onto the blog post. This post contains affiliate links, which means that if you click a link and make a purchase, I may receive a small commission at no extra cost to you. I appreciate your support! First things first, you need a domain name. Think about this a bit before you jump. While you can change your domain name later on, it’s a bit of a headache, so it’s better to have the right domain from the start. You can purchase your domain name from lots of places, but I prefer to just purchase mine through my hosting provider (Siteground). It just makes it easier that way. If the .com of your domain isn’t available, you can consider other ones like .co. You’ll have to weigh how much you really want that name. When you’re using WordPress.org (don’t use WordPress.com), you need a hosting provider. There are lots out there, but I use Siteground. The main reason I love Siteground is their customer service. Whenever I have a problem or a tech question, I can jump on live chat with them and they always solve my problems and answer my questions. I’ve worked with other hosting providers in the past who had horrible customer service so this is a huge plus for me. Siteground has plans for only a few dollars a month. It’s easy to sign up and install WordPress, and if you have any trouble, just jump on live chat with their customer service reps.
It’s important to set up an email account (or more than one) for your new blog. You could do a Gmail address, but it’s much more professional to have an @myblog.com address. 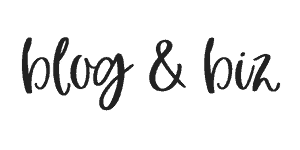 I have two: hello@blogandbiz.com and becca@blogandbiz.com. The easiest way to get these email address is to use Google G Suite. It’s easy to set up, and an email address is only $5/month. Having an email on your domain looks more professional, and I definitely recommend it. The way your site looks and functions depends entirely on its theme. 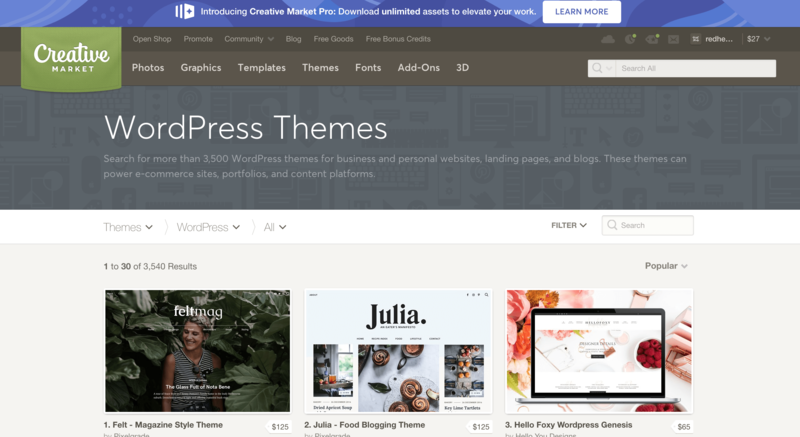 There are thousands and thousands of themes out there, so it can be hard to find the right one. You should look for one that (a) you like the look of, (b) has all the features you want, and (c) has good support documentation and/or customer service. Some themes are easier to set up than others, so it’s good to know that you’ve got backup. What theme you choose entirely depends on your preferences. If you want a page builder theme (meaning that you can start with a blank slate and completely customize everything), I highly recommend Divi. It’s what I use on this site. 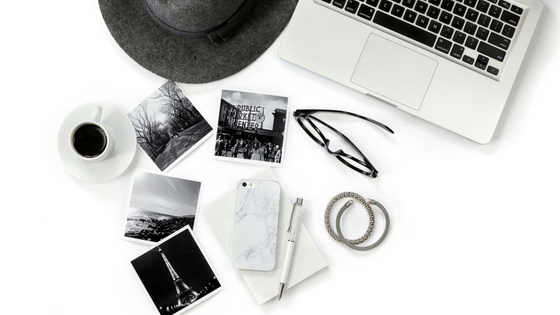 I wrote a post about why it’s great for bloggers right here. You’ll need some plugins to run your site the right way. Some plugins do things on the backend like SEO, or backing up your site. Some plugins add features to your blog, like Social Warfare, which adds social media sharing buttons to your posts (you can see an example at the bottom of this post). There are way too many plugins to go through here, but grab a copy of my 101 Blog Tools guide to see a list of all my favorites. Of course, you need to create some content for your new site. There’s no magic number of blog posts that you need to have before you launch, but I think five is a good number. You don’t want people to click on your site and just have it be empty. Take your time and write some really quality posts. Don’t just skim a topic, go really in depth. Content that doesn’t engage your readers won’t do anything to enhance your brand, let alone increase your conversions, leads and sales. Generally speaking, your blog post should be solving a problem for someone. It should provide actionable tips. It doesn’t have to be a life-threatening problem, it can just be “What should I make for dinner?” But people are generally looking for answers when they click on your blog. You need to set up an email list. Some people say that they’re going to wait until they get more traffic to start one. I say, start it on day one! You never know who your first subscriber will be or where they’ll come from. An email list is crucially important. It’s the best way to grow and connect with your community. And if you get to place where you have products or services to sell, it’s the best way to do that too. So start right away. I use ConvertKit for my list and I love it. It’s made by bloggers, for bloggers, and it shows. It’s super easy to create sequences of emails that get sent out on a timed basis. And it’s also easy to set up automations. For example, I can set it up so that if a person clicks a link related to Pinterest in one of my emails, she gets tagged as “Interest: Pinterest.” That way the next time I have something to say about Pinterest, I know to send that email to her. If you’re not ready for ConvertKit, some good free options are MailChimp or Mailerlite. So you want people to sign up for your list, right? You could just place a box in your sidebar saying “Subscribe to my newsletter,” but that’s not going to get a lot of action. Everyone has 1,000 email subscriptions already, so you need to give them some incentive to sign up for yours. A great way to do this is with a content upgrade. A content upgrade is an extra freebie that relates to the topic of your blog post. It can be anything that can be sent out via email: checklists, resource guides, eBooks, templates, videos, etc. You’ll set it up so that they need to give their email address in order to get the content upgrade, and voila, your list is growing. I wrote about how to set that up right here. I use Apple Pages or Beacon to create my PDFs, but you can also use software like Canva, Google Docs, or Microsoft Word (or if you’re savvy, one of the Adobe products). You can have more than one content upgrade for different blog posts if you want, but I highly recommend that you have at least one. Opt-ins are how people will actually get on your list. People need to see things multiple times before they act, so you need more than one opt-in. Examples are pop-ups, welcome mats, notification bars, scroll boxes, and sidebar or footer widgets. They can go pretty much anywhere. If you look around my site, you’ll see that I have multiple opt-ins. There are even some in this blog post! You can choose what you like, but definitely take advantage of the space on your site to grow your list! Finally, you’ll want to set up some social media accounts. You don’t have to be on every platform, but pick whichever ones you’re comfortable with and have time for. Personally, I’m on Facebook, Twitter, Instagram, and Pinterest. But you may want to be on more or fewer. It’s up to you, but social media can be a great way to build a community and get blog traffic. Pinterest, in particular, is a fantastic way to get blog traffic. If you’re not seeing that Pinterest traffic yet, I’ve got a free workshop that you’ll love. Whew, that was a lot! Launching your blog is a lot of work, but do it right and it will pay off.